Nationally, the average age of cars is increasing, and auto dealer supplies distributor AutoShop Express is positioned to help repair shops take advantage of the resulting boom in business. According to Automotive News, the average U.S. car was nearly 12 years old last year, an increase of 21% since IHS Markit began tracking such figures in 2002. The information analysis company projects that by 2021 (just four years from now) there will be 81 million vehicles on the road in the U.S. that are at least 16 years old. That’s a 30% increase from the current figure of 62 million vehicles. This trend can benefit auto repair shops, because today’s cars – even the older models – are too complex for most shade tree mechanics. As a result, many regions, including northeast Ohio where AutoShop Express is based, are seeing a growing number of auto repair shops opening. We’re also constantly seeking products to help repair shops operate more effectively, such as clear plastic work order holders or key control cabinets. 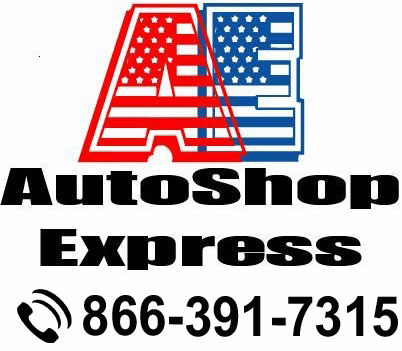 If you’re looking for an auto dealer service products vendor that understands your concerns as well as the challenges your shop faces, you’re looking for AutoShop Express. Call us today at 866-391-7315 for the auto dealership supplies you need.